Based in Málaga (South Spain), the beggining must bee searched at the first group of the Iglesias brothers named EMTY with which won the Berja Rock Contest (Almería), distributed a demo and they shared stage with Danza Invisible, Saratoga, El Hombre Gancho and some other. Reconverted in DR. TIEMPO, new demos and concerts with Despistaos, Delinquentes, etc... Until arriving to ENDE. And already with all this experience as a luggage, between July 2008 and February 2009 elaborated in Madrid with producers Ismael Guijarro and Pablo Cebrián (Fabula, Carmen París, Georgina, Marwan) his first record called GESTOS INVISIBLES (INVISIBLE GESTURES) title in which have knocked over his influences of indie pop, Spanish rock and British pop style, pop melodies with raw and conclusive sounds cares until the minimum detail. Lyrics are deepened, are gone back more intimate and with clear dyes psychological. “Amanecer” is the first cut, ENDE shows us his stronger side, with guitars and drums as leading men, to the Coldplay style, the end is fused with “Me despido”, the first hit single, a slow song in which the piano, the subtle guitar arrangements and simple rhythms give step to an intimate letter with a philosophic dab. With “Castillos en la arena” and rhythms more modern. “Un segundo”, “Otro día vendrá” and “Brilla” offer acoustic sounds, remembering sometimes to groups as Oasis or Travis. The record continues with “Sueños”, a different melody topic and arrangements of cords with a dab Jeff Buckley. “Cuando te siento” and above all “Espacio” raise the time and the potency of the record to the purest style The Killers. Finally ENDE surprises closing with the song “Sigues teniendo esas estrella”, that has the most psychological letter and the most acoustic sounds of the record remembering to Damien Rice. Also the song is completed with the collaboration of the Venezuelan artist Georgina. 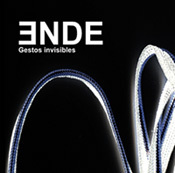 Recently ENDE has recorded a video of the song “Me despido”. This video has been created for two short film directors from Málaga, Fernando Clemente and Eduardo Fernández. ENDE are: GABRIEL IGLESIAS (voice & guitar), LUCAS IGLESIAS (keyboards & voices), JORGE CANCA (bass), PEDRO ESPINOSA (guitar) y FERNANDO GALLARDO (drums).